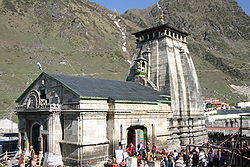 Kedarnath is the most important Hindu shrine in Himalayas, and among the major Shiva temples, of the country. Located at the source of the river Mandakini, Kedarnath is one of the twelve Jyothirlingas, of Lord Shiva, and one of the Panch Kedars. Mythology identifies the deity at Kedarnath temple, with the rump of a bull, a form assumed by Lord Shiva, when eluding the Pandavas, who had come for repentance for killing their kith and kin, in the great battle of Kurukshetra. 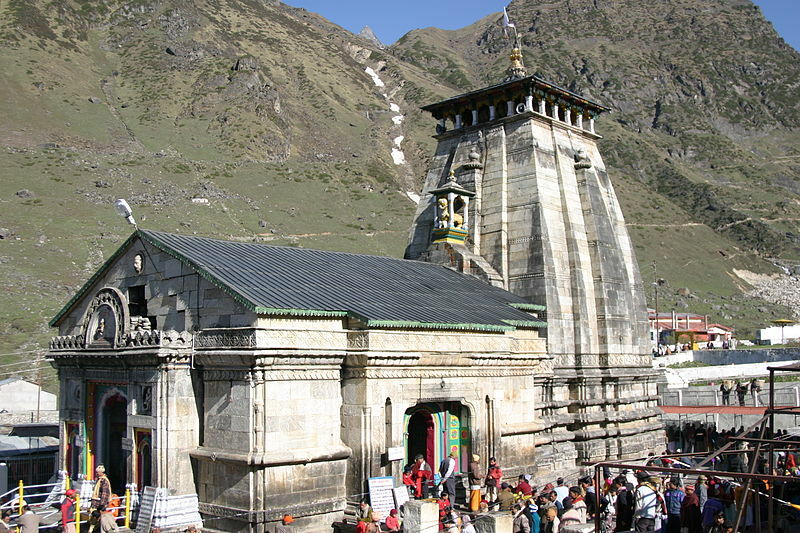 It is believed that the Pandavas constructed the temple of Kedarnath. At the entrance of the temple, is the statue of Nandi, the divine bull of Shiva. The wall inside the temple is exquisitely carved with images, and the temple houses a shiva lingam, which is worshipped by hordes of pilgrims. 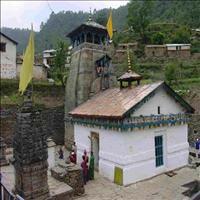 At the approach of winters in the month of November, the holy statue of Lord Shiva, is carried down from Garhwal (Kedarkhand) to Ukhimath, and is reinstated at Kedarnath, in the first week of May. It is at this time, that the doors of the temple are thrown open to pilgrims, who flock from all parts of India, for a holy pilgrimage. Legends notwithstanding, the shrine of Kedarnath is very scenically placed, and is surrounded by lofty, snow - covered mountains, and grassy meadows covering the valleys. Immediately behind the temple, is the high Keadardome peak, which can be sighted from great distances? The sight of the temple and the peak with its perpetual snows is, simply, an enthralling sight. Kedarnath is situated in the Uttar Kashi district of the northern state of Uttranchal. Very close to the Indo-Chinese border, it is the source of the Mandakini River. 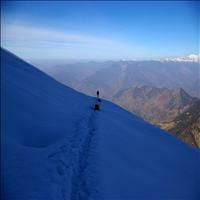 It is couched in the scenic locales of the Garhwal Himalayas at 3583 meters above sea level. This beautiful small lake has a mystic mythological background to it. 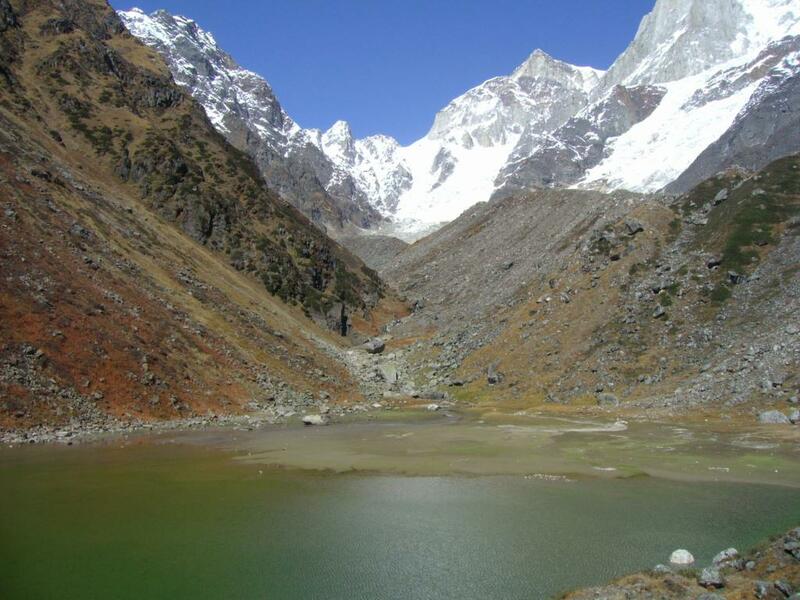 Around a kilometer away from the Kedarnath, one takes a picturesque trek to this place. According to the epic Mahabharata, this was the lake where the Pandavas came to quench their thirst and died one by one after the curse of a yaksha. It was the eldest of them, Yudhishtir, who answered the questions of the Yaksha and brought his brothers back to life. It is this place from where the Pandavas ascended to heaven, and hence the place is famous and pious for the followers of Hindu religion. 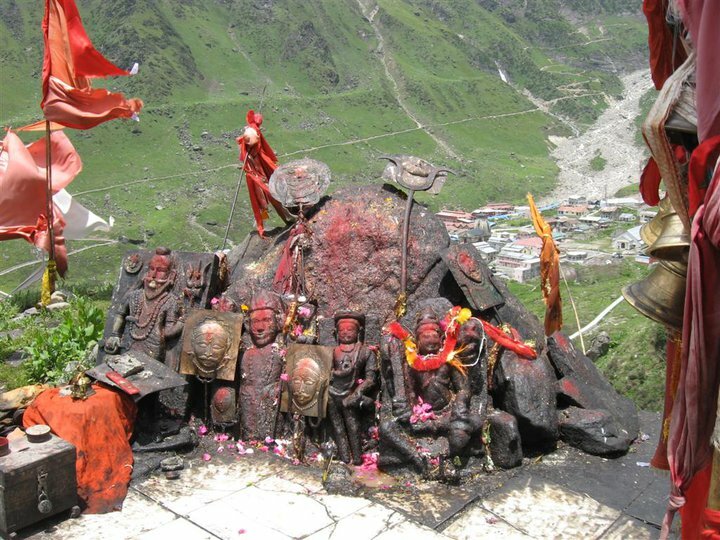 Base for a trek to Kedarnath & serves as a roadhead, the village has hot springs & a temple dedicated to Gauri. Vasuki Tal is 6 km. 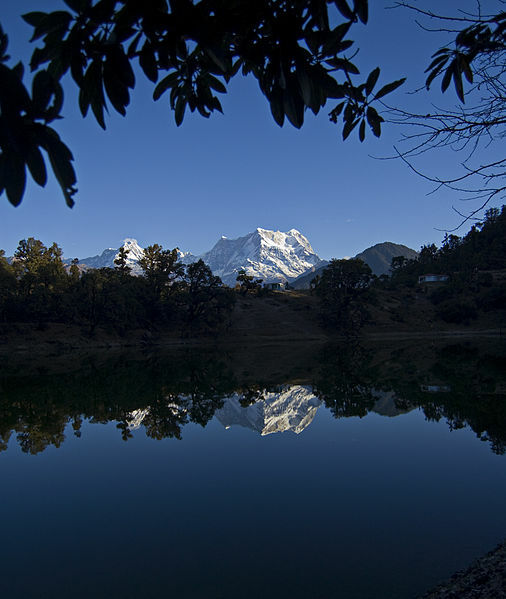 at 4135 m above sea level, this lake is extraordinary, surrounded by high mountains and offering an excellent view of the Chaukhamba peaks. 15 km. The trekking base to Kedarnath and the road head, this village has a temple dedicated to Gauri and also thermal springs of medicinal value. 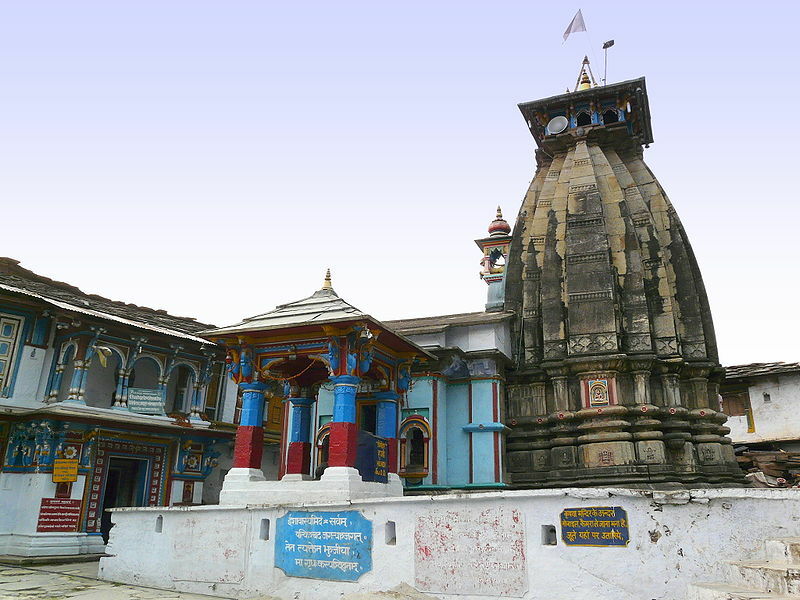 Triyuginarayan is the mythological venue where the wedding of Lord Shiva and Parvati was solemnized. 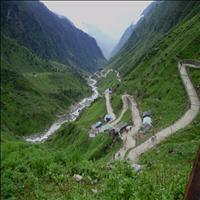 It is a short trek of 5 km from Son Prayag. An eternal flame, which is said to have been the witness to the marriage, burns in front of the temple even today. 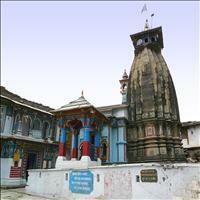 Gupt Kashi is 49 km Famous for the temples of Ardhnarishwar and Vishwanathji. 60 km winter home of Lord Kedarnath temple, and the seat of the Rawal of Kedarnath during winter months. At an altitude of 2,440 m, this beautiful lake is situated on the Chopta - Ukhimath motor road. In the early morning, the snow-capped peaks are clearly reflected on the lake waters. This lake also provides an excellent venue for angling, as well as bird watching. 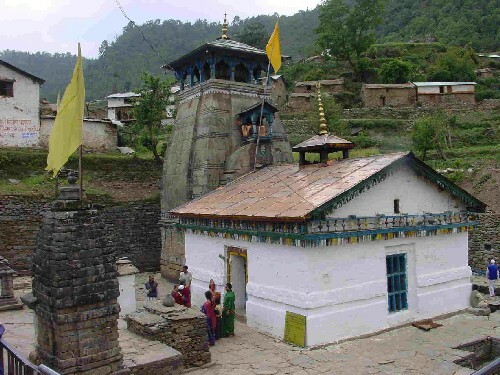 The five most important temples of Lord Shiva are in garhwal Himalayas. 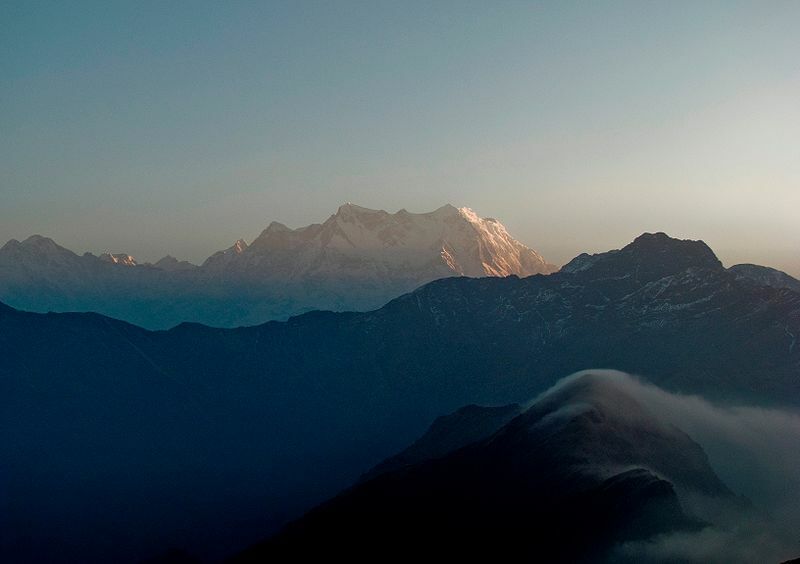 This is an outstanding massif formed by the three major mountains - Kedar Dome.\r\nBharatekuntha at 6578 M is connected to Kedarnath to the East, by a long and dangerous avalanche ridden ridge. At 6000 meters it looks stunning and has several glacial flows, one of which is the Mandakini glacier running down its ridges.\r\nA deep ridge connects Kedarnath and Kedardome. 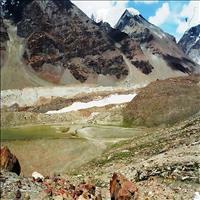 Kedar Dome at 6831 Meters presents a fair challenge to climbers. Kedarnath is however, a difficult peak to climb. At 6940 Meters it is just beneath the level where the oxygen layer is thin. Anyone interested in a good day trek, could take the well-travelled path from behind the temple toward Bharatekuntha. About three kilometers away in the valley formed by the Kedarnath massif, is Chorabhari Tal. This lake has been renamed Gandhi Sarovar after the Mahatma's ashes were immersed in Lake. Considered to be the most renowned and spiritual expedition, the chardhan yatra includes visits to the four main Hindu shrines of India that include Yamunotri, Gangotri, Kedarnath and finally, the Badrinath shrine. On the way, experience the astonishing views of Himalayan peaks that proudly reflect the legends and history beholding these sacred shrines.